Posted on 10/17/2016 in Game Recaps. 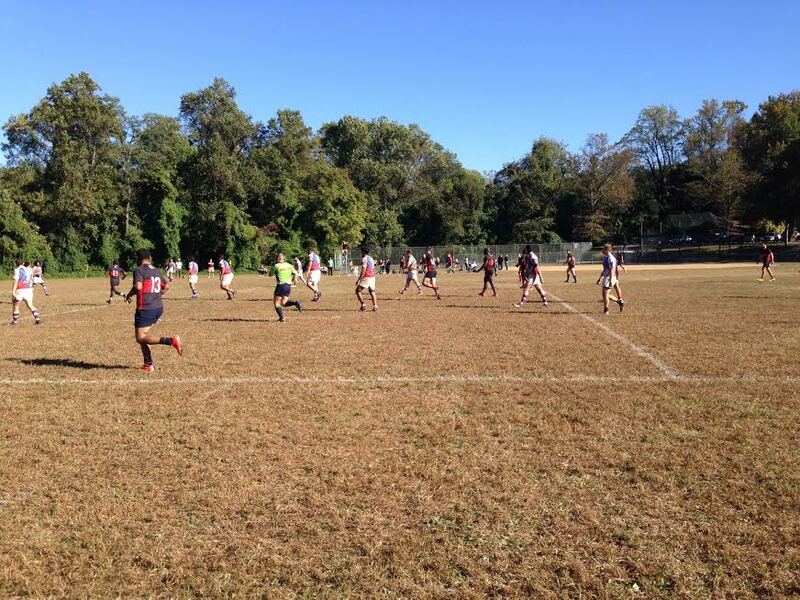 The Potomac Exiles regrouped at home and notched an important victory over Pittsburgh, 31-12. Following a disappointing effort, Potomac focused on the gameplan at trainings, then executed in a hard-earned win. Scrum half Chris Saint got the scoring going with a scamper into try zone, exploiting a hole just off the side of a ruck. Prop Jason “Dutch” Vanterpool then capitalized, finishing off a series of pick and goes from the forwards with the try. Pittsburgh would tighten the match, but Lock Paul Jesseman closed the scoring to give Potomac the first half lead, 21-5. Regrouping at half and trying to get back into it, Pittsburgh scored first in the second period, but would get no closer. Fullback Matt Quigley hit the penalty kick, then center Junior Sucu scored the final try with the assist from his number 12 Zolen Rodriguez. Quigley converted to finish his perfect day kicking, and seal the win, 31-12.